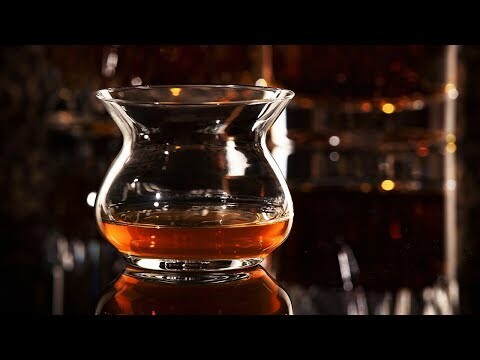 This carefully developed spirits glass (created after years of research and prototypes!) was made to showcase whiskey, bourbon, gin, and other spirits. The unique design encourages the aroma to open up while eliminating nose burn from alcohol vapors, so you can enjoy every delicious, nuanced flavor. Dimensions: 3.1" diameter x 2.6"
My husband said the scotch tasted better than ever in this glass! A great way to savor spirits. 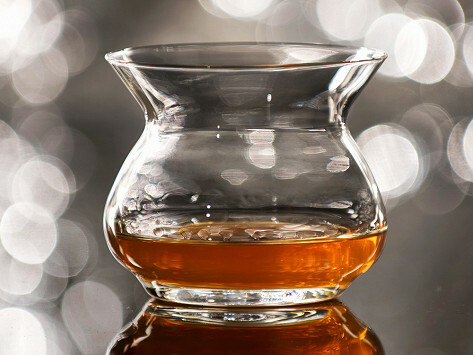 This glass concentrates the deep aromas of the whisky, and really enhances the flavor. Whether you’re an occasional gin or tequila sipper, or a die-hard whiskey aficionado, using this specially-designed spirit glass makes a big difference. The Artisan NEAT Glass does what traditional glassware doesn’t. Its eye-catching design is actually quite purposeful. It was carefully created (and went through 52 revisions) to let spirits shine, so you can enjoy all the nuanced flavors. The wide swirling bowl helps the aromas evaporate and open up, and a flared rim gives alcohol the space to dissipate away from the nose. This also eliminates nose burn, which is when your sense of smell gets numbed by alcohol vapors that are too close to your nose (and that seriously dampens the drinking experience). With this glass, you can elevate an occasional drink or a cultivated passion for a particular spirit. And we think that’s worth drinking to.